Stripe vs. PayPal - Who's Best in 2018? Stripe vs. PayPal – Who’s Best in 2018? Our Stripe vs. PayPal review reveals that both online payment services compete closely on processing fees, ease of use, and platform integrations. Beyond these key factors, Stripe supports more custom checkout options and online payment types while PayPal accepts online and in-person payments and has lower fees for nonprofits. We examine both in detail below. Use Stripe if you want to have total control over your online checkout process with minimal PCI compliance concerns. Stripe delivers a secure, customizable, fully-integrated checkout with full control over cart design and checkout flow. It’s also the right choice if your business is moving toward mobile app-based sales for mobile commerce, since it enables in-app payments. Every online seller should offer the PayPal payment option to customers, whether they use PayPal to process all payments or not. PayPal is the preferred payment method of many online shoppers and is proven to increase conversions by as much as 47 percent. Even if using Stripe for processing credit cards, seriously consider adding PayPal, too. If you need to accept online, in-store, and mobile payments, Square soundly tops Stripe and PayPal, which are primarily online payment services. Square offers a free account and flat-rate processing fees, like the other two, plus free retail point-of-sale (POS) software that ties all sales together. PayPal supports mobile payments, but doesn’t match Square’s many features. Ecommerce sellers comparing Stripe versus PayPal are looking for which of these top-rated online payment services best suits their specific payment processing needs. Both offer simple, flat-rate payment processing fees for online purchases, integrate with virtually every top-rated ecommerce platform, and support secure PCI-compliant payments. But other features, like accepting PayPal payments, checkout customization, in-person payments, and account fees set them apart. Cost – Monthly account fees and features available on different plan levels. Credit Card Processing Fees – How credit card processing services and transaction fees differ between Stripe and PayPal. Payout Times – How fast each of these online payment services deposit funds or make them available in your account. Ease of Use – Which online payment service is easier to set up and use on various ecommerce platforms. Accept PayPal Payments – Options for accepting both credit cards and PayPal payments. PCI Compliance – How Stripe and PayPal handle checkout security and PCI compliance responsibilities. Customizable Checkout Page & Flow – Which online payment service lets you customize your payment pages to improve your customer experience. Payment Processing Tools & Options – The breadth of payment processing features, including virtual terminal and recurring payments, mobile in-app payment support, online invoicing, and mobile card readers for in-person sales. Reporting & Analytics – The transaction, deposit, processing statement reports that Stripe and PayPal provide. Customer Service – Phone, email, and chat customer support options and online knowledge base of each payment processor. User Reviews – How users like each of these online payment services, plus the pros and cons mentioned in Stripe and PayPal user reviews. After an exhaustive review, we find there are valid reasons to consider both Stripe and PayPal online payment services for your online selling needs. You should offer PayPal as a payment option, regardless. It’s a recognized and trusted name worldwide, and if you don’t need a highly customized checkout page, PayPal Express and Standard Payments are simple, secure, and you can be up and running in minutes. Click here to get your free PayPal account today. However, if you need a custom checkout solution, or want a highly advanced payment platform for a subscription business or in-app mobile commerce, Stripe fits the bill. Along with unlimited customization, Stripe supports a wider range of payment types, including ACH check payments, wire transfers, and more international payment options than PayPal. If Stripe sound right for your business, click here to get your free Stripe account today. Remember—even if you choose Stripe as your primary payment processor, you can still accept PayPal payments for online purchases using a free PayPal Express Checkout account. 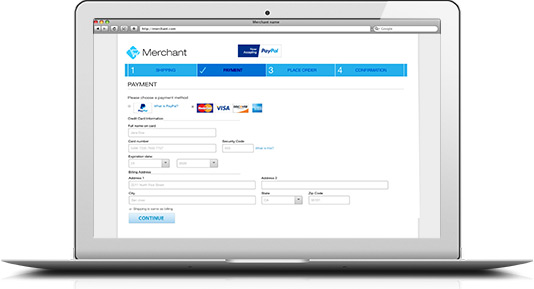 It works alongside all other payment processors, including Stripe, in your online checkout. Both Stripe and PayPal offer free accounts with no monthly fees with competitive—and in some cases, identical—credit card processing fees. However, to match the custom checkout capabilities of Stripe, you need PayPal Payments Pro, which runs $30 per month. So of the two, only Stripe really delivers the bulk of its online payment processing features in a free account. However, there are a few important payment features that only PayPal delivers. The ability to accept PayPal payments is a major benefit. Plus, handy perks like PayPal’s virtual terminal, lower rates for nonprofits and micropayments, and support for in-person mobile payments all top Stripe’s offering. Where Stripe soundly trumps PayPal is in its fully customizable, fully secure checkout platform. PayPal’s $30 Payments Pro account provides checkout customization options, but it’s not the equal of Stripe. Plus, Payments Pro leaves PCI compliance to you, which comes with detailed self-assessments and periodic security scans of your site and connected systems. Not so with Stripe. You can design your checkout page and flow however you wish on Stripe’s fully secure PCI-compliant platform. In some ways, the Stripe versus PayPal match-up is neck-and-neck. In others, one tops the other. Our in-depth Stripe and PayPal review will help you determine which one is best for your ecommerce business—or if combining the best of both is the right solution. Our Stripe review revealed one fact off the top: Stripe offers extremely simple and predictable pricing—even more so than PayPal in some cases. Your Stripe account is free, and with it, you get access to a suite of highly advanced checkout customization and ecommerce payment management tools. PayPal also offers free accounts, but to access customizable checkout features, you need the $30 Payments Pro account. So, Stripe delivers the better overall value in a free account. Stripe has no monthly account fees for its online payment services. There are a few Stripe services that have added fees, but these are largely for enterprise-level users, multi-vendor marketplaces, or foreign businesses needing assistance to set up and sell in the U.S. The services and fees listed below cover most small business online payment processing situations and needs. Stripe Billing Process $1M in subscription, online invoicing, and recurring payments with no added fees. After $1M, the Billing service adds 0.4% to your payment processing fees. For most online sellers, credit card processing fees are the only cost of using Stripe, and its flat-rate fees are simple and predictable. In addition to all major credit cards, Stripe also processes Apple Pay eWallet payments, ACH payments, wire transfers, and a full list of international payment methods. Unlike Stripe, PayPal accepts only credit cards, PayPal payments, and the recently added Venmo eWallet. PayPal can’t accept ACH, wire transfers, or Apple Pay (yet), unlike Stripe. However, accepting PayPal payments is a major perk for online sellers. If you choose Stripe as your primary processor, consider adding PayPal Express to accept PayPal payments, too. Here are the types of ecommerce payments that you can accept with Stripe, and the processing fees for each. Stripe automatically deposits funds into your connected bank account every two days, on average. You can change this payout schedule to weekly or monthly payouts if you wish, which is a nice feature. The amount deposited into your account equals your total daily charges (from about two days ago), less Stripe’s payment processing fees. How quickly deposited funds are accessible depends on your bank’s clearing times. It’s important to note that Stripe can elect to hold, or “reserve,” a percentage of your charges on a rolling average to guard against chargebacks. These held funds are released after a prescribed period of time. This doesn’t apply to every account, but if you see a sudden spike in sales or process some unusually large orders, it can happen. These holds, or reserves, are common to every all-in-one payment processing solution, including Stripe, PayPal, and Square, and is something to be aware of. If you sell high-value or high-risk goods and have a higher than average return or dispute rate, a traditional merchant account can be a better option for your business. Of course, Stripe doesn’t process PayPal payments for you. If you want to use Stripe as your primary processor and still offer PayPal as a payment option for your customers, you’ll need a PayPal Express Checkout account. This works alongside Stripe in most ecommerce platforms and is simple to set up. 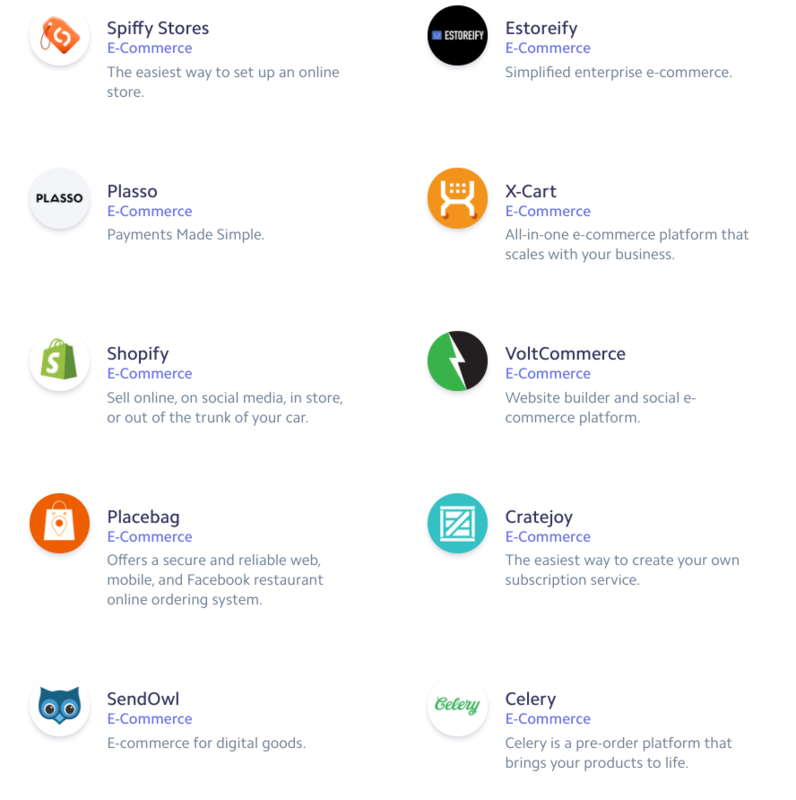 Stripe, like PayPal, integrates via simple plug-and-play connectivity with most top-rated and lesser-known ecommerce platforms. Both online payment services also support the majority of subscription and multi-vendor marketplace platforms. 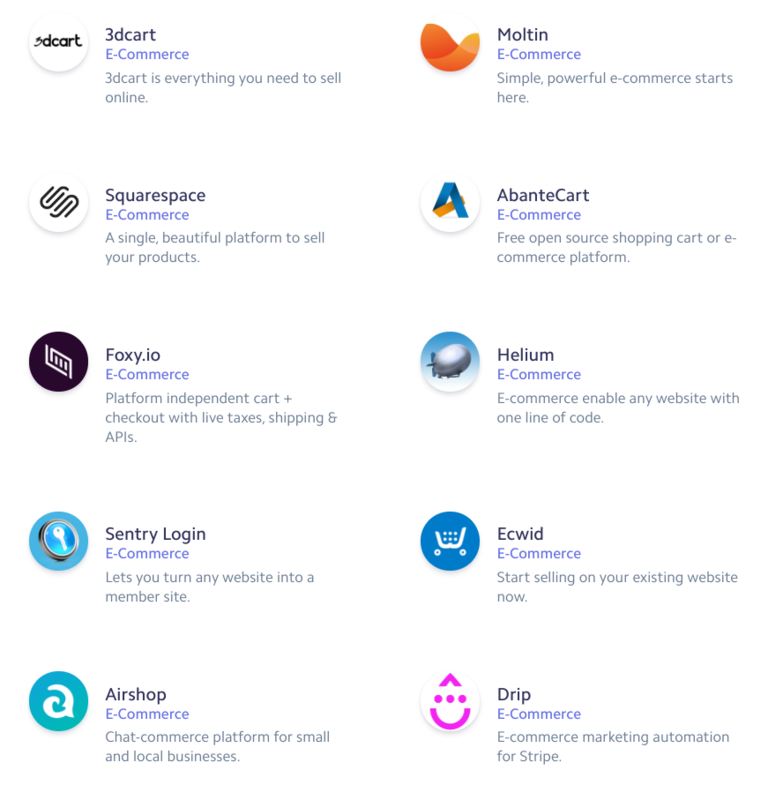 Stripe integrates with more than 60 ecommerce platforms, so there’s a good chance it already works with yours. Stripe is known for running a very tight ship when it comes to PCI compliance. No matter how you customize your cart, it’s always going to be secure. Stripe shoulders all of the PCI-compliance burden for its merchants, too. You won’t need to run security checks on your ecommerce cart or pay PCI-compliance fees. Stripe covers all of that in your free account. While PayPal’s free Express and Standard accounts are fully PCI-compliant, its $30 Payments Pro account is self-hosted, so you have run your own PCI-compliance checks and assessments. This, combined with PayPal’s account cost, is why Stripe soundly beats PayPal for custom checkout needs. Here’s where Stripe really soars above the rest. 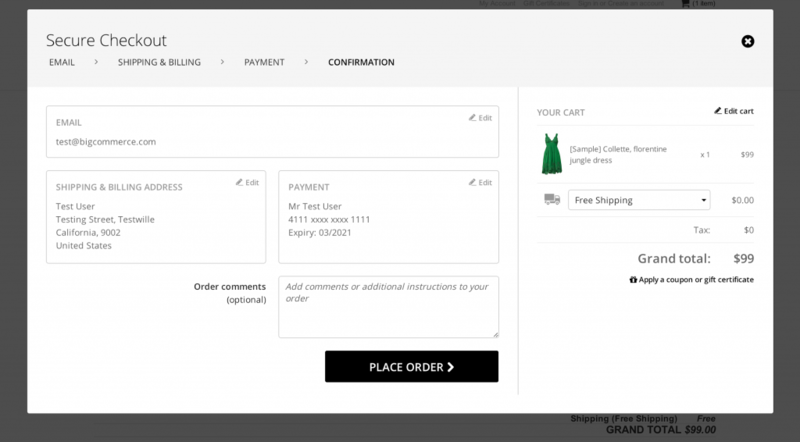 Stripe gives you complete control over the look, elements, and checkout flow of your cart and checkout pages. New users who connect Stripe to their ecommerce platform via plug-and-play can comfortably alter certain aspects, depending on their platform restrictions. Pair Stripe with the BigCommerce ecommerce platform and enjoy sleek, high-converting, mobile-friendly checkout pages. However, you can also use Stripe to build out any number of secure, customized checkout pages and forms to insert anywhere within your website or mobile app for in-app purchases. 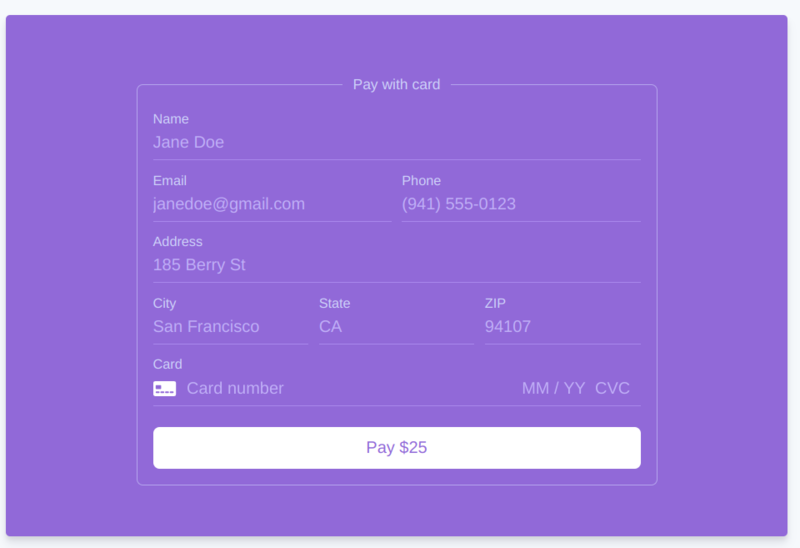 Snappy or simple, Stripe lets you create simple, secure, high-converting payment forms that can be used on all types of website and mobile shopping and service in-app purchases. This level of checkout customization comes with a learning curve, but Stripe provides many tutorials if you want to give it a go yourself. Or, you can hire budget-friendly Stripe checkout pros on Fiverr’s freelance marketplace to help you set up exactly what you want, fast. Stripe boasts an incredible list of custom checkout features that enable an endless variety of online and mobile commerce in-app payments. Taken as a whole, Stripe can be considered overkill for the small seller, but don’t let that scare you off. In many aspects, it’s a very new, user-friendly system. Stripe integrates via plug-and-play with most ecommerce platforms, so it’s very easy for new users to connect, set up, and run from day one. As you grow with Stripe, you’re able to try other selling options—like subscription sales or mobile in-app sales—without switching to another payment processor. However, there are some small business payment needs that Stripe doesn’t offer as built-in features. These might be the tipping point in your choosing Stripe versus PayPal, or another online payment service, like Square. Online Invoicing – Stripe’s Billing feature supports online invoicing and online invoice payments for single-send and recurring invoices. Subscription & Recurring Payments – Stripe is a leader in online subscription sales and recurring payment management. Leading subscription platforms CrateJoy, Zoho Subscriptions, and more connect to Stripe to enable all types of membership and subscription commerce. Mobile In-App Payments – This is another area where Strips shines—its flexible, customizable checkout flows connect to your custom mobile Android and iOS app so your customers can make convenient in-app purchases for your products and services. Virtual Terminal – Some small businesses need a way to enter credit card payments for phone sales and for this, you need a virtual terminal. Officially, Stripe does have a basic virtual terminal functionality in your dashboard, but it discourages regular use. The virtual terminal feature in PayPal (and Square) beats Stripe’s if this is key to your business. Mobile Payment Processing – Stripe is an online-focused payment processor, so it doesn’t offer any built-in retail or POS features or provide users with mobile credit card readers. You can connect third-party mobile readers to enable this, but it’s really not Stripe’s forté. 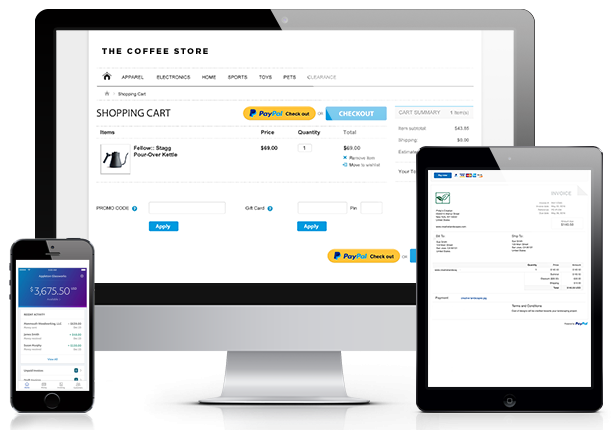 PayPal Here and the even better mobile and POS services from Square top Stripe if this is a priority in your business. Your free Stripe account delivers a good set of basic reports covering your payments, chargebacks, and reconciliations, which you can easily access within your Stripe Dashboard. You can also export your Stripe payment data to QuickBooks Desktop for free, but it requires a third-party extension to connect to QuickBooks Online. This is a nice feature if you don’t rely on your ecommerce platform to track sales and payment data or connect to QuickBooks. PayPal is known worldwide and it’s a very easy online payment service to use. You can open a free PayPal Express Checkout or Payments Standard account and connect it to virtually any ecommerce site within minutes to accept both credit cards and PayPal payments. With these accounts, you can also add a PayPal “Buy Button” to your blog posts, donation pages, or other online payment forms in just a few clicks. However, if you want more control over your checkout page design and flow—like you get with Stripe—you need PayPal Payments Pro, and that’s $30 per month. You do get PayPal’s Virtual Terminal with that, which is something that Stripe is missing—but it also puts the PCI compliance issues on your shoulders, unlike Stripe. If total control over your online store’s checkout is your goal, Stripe is the better value. Short of that, PayPal’s free Express and Payments Standard accounts let you easily accept credit cards and—more importantly for online sellers—PayPal payments. PayPal Express Checkout is PayPal’s simplest payment solution and studies prove that it converts more online shoppers into buyers than other payment option. The study also shows that websites offering the PayPal Express Checkout option—either alone or alongside Stripe or another processor—see 47 percent higher conversions than those not offering a PayPal payment option. Year after year, studies prove that accepting PayPal payments via PayPal’s simple Express Checkout increases online sales. This is the reason we recommend offering a PayPal payment option on your site, even if you use Stripe or another payment solution as your main processor. 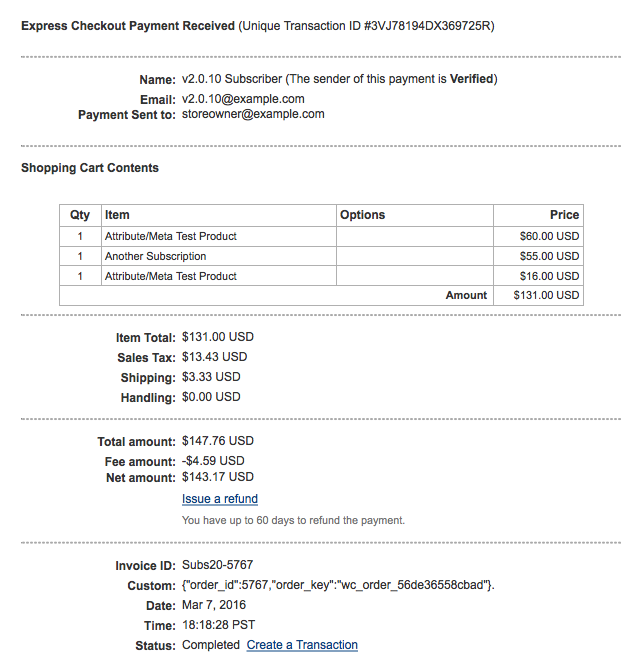 PayPal Express Checkout works in tandem with Stripe and other processors and is proven to drive more sales. Of course, you can use PayPal as your total payment solution, too—many do. Our in-depth PayPal review will help you decide if PayPal can meet all of your payment processing needs—and if so, which account is best for you. Unlike Stripe, which offers just one free account level, PayPal offers three online payment processing account options, which vary in checkout controls, services, and fees. PayPal also has add-on services that can be used with any account for an added fee. Here are the fees for PayPal’s three account levels, the features of each, and optional add-on services and costs. PayPal Express Checkout – This is the simplest PayPal checkout and is used to accept PayPal (and now Venmo) payments. It does not handle credit card payments. You can use it as your sole payment option or offer it alongside a different credit card payment processor like Stripe, Square, Authorize.net, etc. When your customer selects PayPal as their payment method, a window pops up to complete the purchase. PayPal Payments Pro – This account allows you to create a fully-integrated checkout experience, customize your checkout page, and accept credit cards, debit cards, and PayPal payments all within your own branded checkout screen. The drawback of Payments Pro compared to Stripe is its $30 monthly fee and PCI compliance that you’ll need to manage yourself. With PayPal Express or Standard, your only cost is your credit card processing fees. Like Stripe, PayPal’s flat-rate fees are simple and predictable. However, unlike Stripe, PayPal offers a broader range of fees based on the type of transaction, including lower rates for small-ticket sellers and nonprofit organizations. Here are PayPal’s payment processing fees for PayPal payments, credit and debit cards, and Venmo payments. Note: online payments made with American Express process at a higher fee, as shown above. This is not the case with Stripe. All major cards process at the same online rate of 2.9% + 30¢ per transaction with Stripe. One nice perk about using PayPal as your online payment processor is it refunds the original transaction fee, like the 30¢ fee for online sales, when you process a refund. Stripe doesn’t do this and most traditional merchant account services actually charge you again for processing refunds. PayPal is the industry leader in quick access to payments. In most cases, you can access your funds the same day of the sale, unlike Stripe’s two-day wait. With same-day access, you can use funds in your PayPal account for purchases or transfer funds into your bank account as needed. Of course, your bank may take a day or so to clear the deposit, but it’s faster than the two- to four-day wait common with other processors. Like Stripe, PayPal deposits equal the total charges, less fees. PayPal outlines your sale total and all fees applied in your transaction dashboard so you can always see exactly what you pay for processing. Details of each PayPal transaction, including the total, processing fees, and the net amount available to you, can be found in your PayPal dashboard. PayPal beats Stripe and all other online payment processors in this—only PayPal lets you accept PayPal payments. Like Stripe, PayPal integrates via quick plug-and-play connectivity with virtually all ecommerce platforms, including the majority of subscription and multi-vendor marketplace platforms. You can use PayPal to accept payments through virtually all ecommerce platforms, blog, and marketplace platforms, and it can also be used for in-app mobile purchasing and adding instant-buy buttons to email marketing. PayPal’s free Express and Standard accounts use PayPal’s own checkout pages. With these accounts, PayPal handles the PCI-compliant-side security for you. 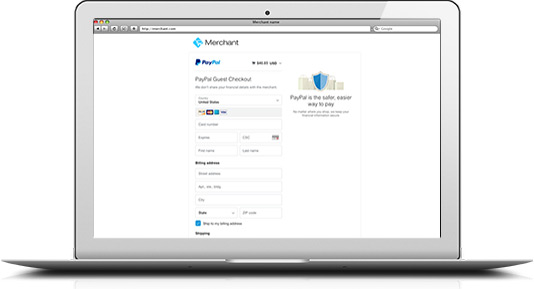 However, PayPal Payments Pro uses your ecommerce platform to host the customized checkout. So unlike Stripe, you’ll have run your own PCI-compliance checks and assessments if you use Payments Pro. 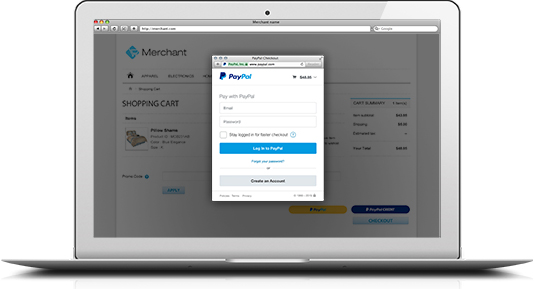 PayPal Payments Pro is the only PayPal account that gives you a fully integrated checkout with control over the look, feel, and flow of your cart and payment pages. This keeps customers on your site throughout the checkout process, unlike Express and Standard, which use a PayPal window to complete the sale. Customizable PayPal Payments Pro checkout pages can include the PayPal branded checkout button—or not—in your online and mobile checkout pages. The look and flow is up to you. However, gaining the custom features requires Payments Pro at $30 per month—and with it, you shoulder PCI compliance. In contrast, Stripe’s free account includes fully PCI-compliant custom checkout options, making it the simpler and more economical choice for customized checkouts. PayPal delivers many of the same payment processing tools as Stripe and pulls ahead of Stripe’s feature set in two key areas: in-person payments and a virtual terminal. Technically, you can enable these features in Stripe, but they’re not clean, simple, built-in tools like they are in PayPal. Plus, all of PayPal’s features tend to be very simple to set up and use. Because of this, PayPal is the top online payment service for startups and small businesses. Online Invoicing – You can create and email online invoices and receive online invoice payments in every PayPal business account for no added fees—you just pay the payment processing fee. Subscription & Recurring Payments – You can manage recurring payments for all types of repeat services, memberships, online training, and subscription sales business with PayPal’s recurring payment feature. It’s $10 per month to add this to any PayPal business account. Mobile In-App Payments – PayPal also lets you create checkout flows for your custom mobile apps for in-app purchases. However, unlike Stripe, this feature doesn’t yet process Apple Pay or other mobile eWallets, but it does accept PayPal, which is a plus. Virtual Terminal – PayPal gives you a full Virtual Terminal in your dashboard for keying-in payments for phone and fax orders or other payments needs. This feature tops Stripe’s limited-use version of a virtual terminal since it’s designed to be used whenever needed—not just occasionally as it is with Stripe. You can add the Virtual Terminal to a free account for $30 per month, and it’s included in the $30 Payments Pro account. Mobile Payment Processing – PayPal tops Stripe in this area with PayPal Here in-person payments. This service lets you accept payments using physical credit card readers connected to Apple and Android mobile devices. You even get a free card reader upon signup. Your only cost is a 2.7 percent processing fee when you complete a payment using the card reader. Like Stripe, PayPal provides a basic set of sales reports that you can access in your account dashboard under the Reports tab. Settlement reports are very helpful for small businesses, since they provide a list each of transaction and track sales, withdrawals, monthly fees, and refunds. PayPal also gives you a sales tax report that’s handy for tracking the sales taxes you collect. You can also dig into PayPal’s developer tools to pull specific types of reports. However, for most small businesses, the default settlement and tax reports deliver the sales, fee, and tax data needed for bookkeeping and bank reconciliations. In the Stripe versus PayPal match-up, both online payment services deliver simple and quick plug-and-play integrations with top ecommerce platforms. So, getting your basic payment setup connected and working takes little effort. When it comes to customizing your checkout or creating in-app payment flows, you’ll need to dig into both platforms’ developer tools. You can plug-and-play Stripe payments with virtually every top and most lesser-known ecommerce platforms, and setup takes just minutes. You can set payments to process automatically as orders come in, or authorize transactions and capture payments later if that fits your operation. Refunds are conveniently handled in your ecommerce platform, or you can handle these as manual transactions in your Stripe dashboard, if you prefer. 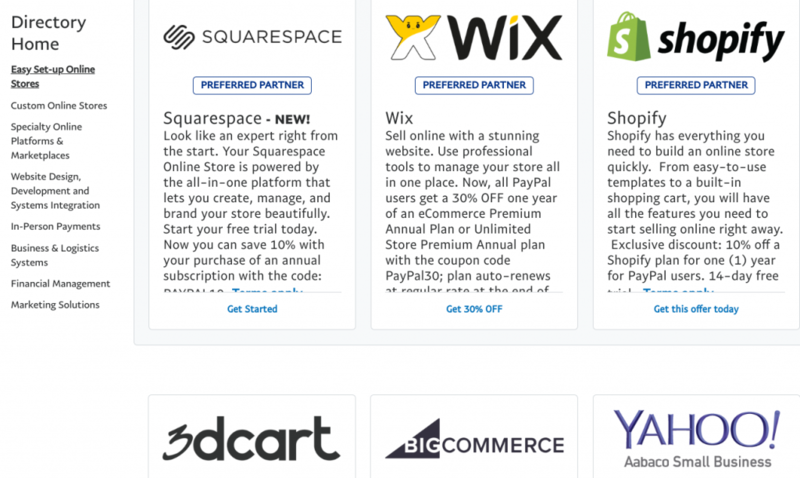 Most Stripe ecommerce integrations give you some level of customization in your checkout. To create checkout forms from scratch, you’ll need to familiarize yourself with Stripe Elements and understand how to drop code into your web pages—this is where Fiverr’s freelance Stripe checkout pros come in handy. Stripe also provides some ready-to-go checkout forms and templates to kick-start any custom integrations, plus a good knowledge base with custom checkout design tutorials. Like Stripe, PayPal is new user-friendly and many top ecommerce platforms practically set a PayPal account up for you if you don’t already have one. PayPal Express and Payments Standard connect to most ecommerce stores in minutes, as does Pro. However, with Pro, you’ll need to ensure your security meets PCI-compliance standards. This is an extra setup step—but PayPal guides you through this in this account level. Once set up, payments process automatically as orders are completed. Or, like Stripe, you can set up authorization and delay capture flows—whatever works for you. Refunds can be handled from your ecommerce dashboard in most cases, or they’re easy to do from the transaction page in your PayPal dashboard. Unlike PayPal, Stripe doesn’t offer call-in phone support. PayPal has toll-free phone numbers listed throughout its website, and its merchant customer service is pretty solid in our experience. Stripe uses online communications for initial customer service, but you can request a call back from your account dashboard—so you’re never truly on your own. Email or Online Form Support: No hours listed. No Direct Contact Phone Number: You can request return calls from customer service via email and form contacts. Complete online knowledge base with beginner and developer-level customization and integration information. Stripe is new user-friendly for basic ecommerce platform integrations, but it’s really geared toward larger businesses—so customer service-wise, it’s not as forthcoming as PayPal. Stripe will return your calls to work out integration or charge issues, but you can’t call them as needed, like you can with PayPal. Complete online knowledge base with introductory-level setup videos and guides through developer-level advanced integrations and customization. PayPal’s customer service is more readily available than Stripe. If offers extended phone hours, plus a chat function that even has a phone number in the chat window—that’s convenient! Initial account setup for Express, Standard, and Pro is so plug-and-play that you’ll probably rarely need to call into PayPal, but if you must—it’s easy to do. The Stripe versus PayPal match-up is a comparison of two huge online payment services. Stripe boasts around 100,000 merchants, while PayPal logged an incredible 244 million active users—including personal and business account holders—worldwide as of June 2018. Now, with that many users, each service is bound to have many happy and some not-so-happy users. Here’s a look at the trends we found in online Stripe and PayPal reviews. In a perusal of online Stripe reviews, users seem to love everything about Stripe except—wait for it— customer service. Payment processing, ecommerce integrations, and basic use is a smooth process for most users and garners few complaints. The trouble occurs with payment disputes and processing issues—times when it’s really nice to be able to talk with your processor. Users complain that it can take days to get a person on the phone with Stripe. This is something to consider when choosing Stripe versus PayPal. Find more user comments and details in our Stripe review. Looking at PayPal reviews online, customer service gets the lowest score while ease of use, universal name recognition, convenience, and overall payment fees are positive. Like Stripe, user complaints about PayPal’s handling of disputes, fund holds, and processing issues top the list of problems. However, these issues are equally common to Stripe and practically all other online payment services. At least with PayPal, you can call someone right away to try to resolve these issues. See what more users have to say in our PayPal review. Stripe versus PayPal is a match-up in many ways. Account fees, processing fees, and services are similar in many respects. However, when you dig into the fine details, each pulls ahead of the other for specific needs. For example, if you want to play with custom checkout pages or have total freedom with more advanced online and mobile in-app payments, Stripe tops PayPal in both price and security—two pretty big factors. If this is your primary need in an online payments processor, start your free Stripe account today. However, if you want to accept PayPal payments, Stripe can’t help you there—you’ll need a PayPal account. Plus, PayPal supports in-person and virtual terminal payments, things Stripe simply doesn’t do well. If these matter to your business, you can use PayPal as a stand-alone payment processor or in-tandem with your custom Stripe checkout. It works either way and studies prove that shoppers look for it—so start your PayPal account today.